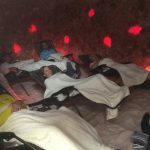 While some people visit the salt cave alone, it�s great for groups of friends too. 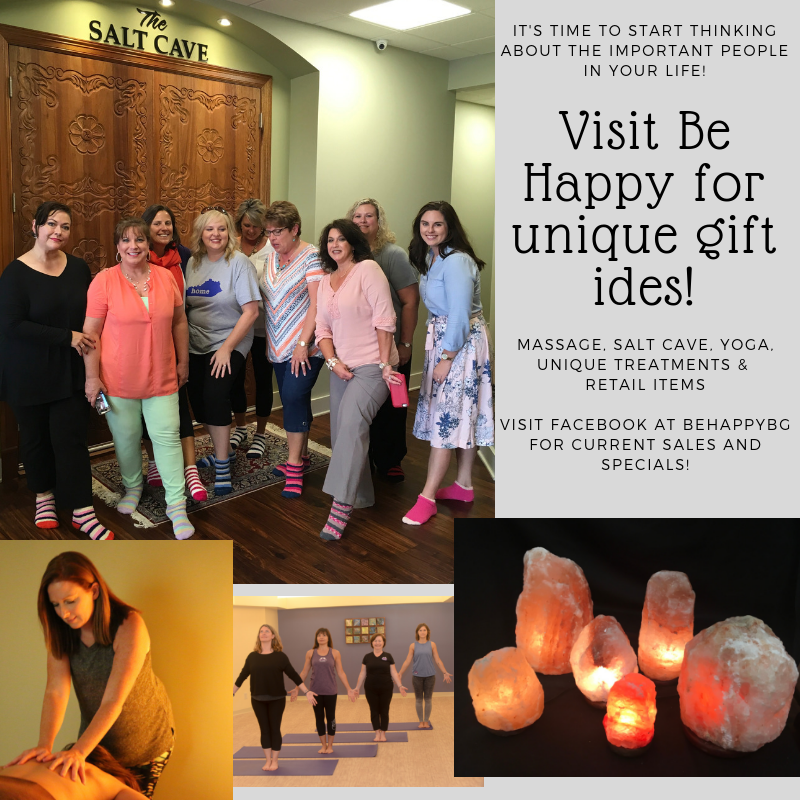 Be Happy has hosted many private group events in the salt cave, including a 12-year-old birthday party, book clubs, team building events for businesses, church small groups, bachelorette parties… Be Happy has also hosted many of the tourism visits brought to Bowling Green through the BG Area Convention and Visitors Bureau! 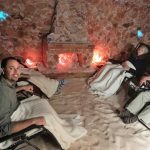 Salt cave sessions (especially guided deep relaxation sessions in the salt cave) continue to be one of the favorite activities of locals as well as groups visiting our area! 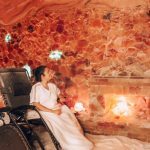 If a massage is what you’re after, we have that as well – again lots of varieties to offer you. We have two licensed massage therapists – they stay busy so book ahead for your appointment. Three of our yoga teachers are also certified in Thai Yoga Therapy – individual assisted stretching. And we now offer Reiki – recently our reiki practitioner has had great results in helping a colicky baby! Don’t forget to take some salt home with you. We have new shipments in for your holiday shopping for the most unique gifts in town – for you or your loved ones. Show them you care by giving them the gift of healthy salt! (We can teach you all about it!) We keep a supply of yoga props as well as a few essential oils for better breathing, relaxation and muscle support.